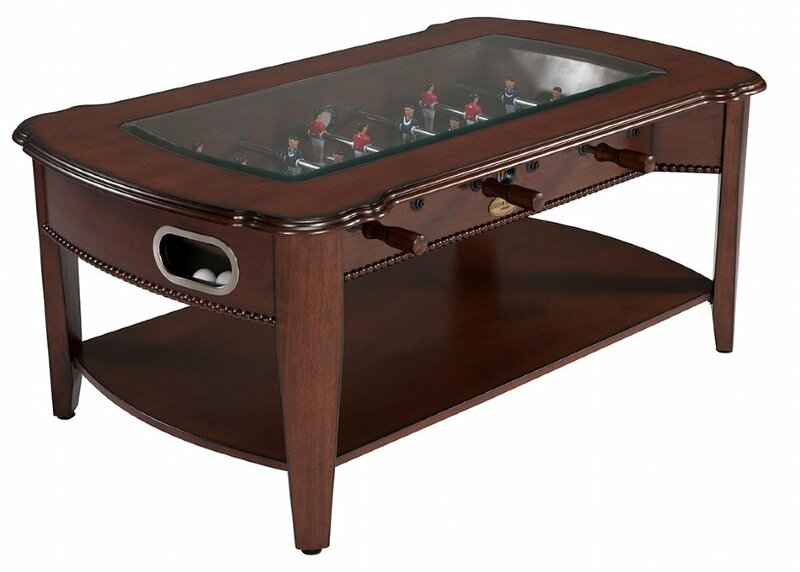 A definite conversation piece in any home, The Maxwell 2 in 1 Foosball & Coffee Table marries a fully functioning foosball table, with a beautiful solid wood coffee table. 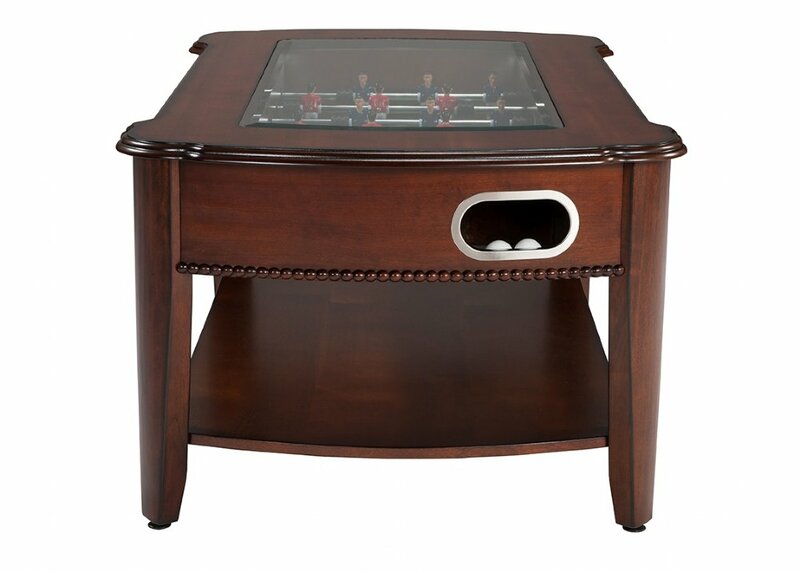 The table features telescopic rods easily glide from side to side while players control hand painted foosball men with octagonal solid wood handles. 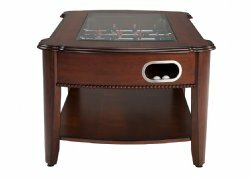 Stainless steel ball return trim adds to the authenticity of this game table, while hand carved wooden accents add to the beauty. 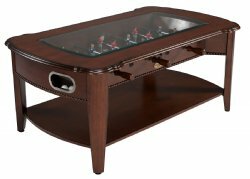 Suitable for any living space, The Maxwell Foosball & Coffee Table by Berner Billiards is an innovative and interesting twist on a classic table game. 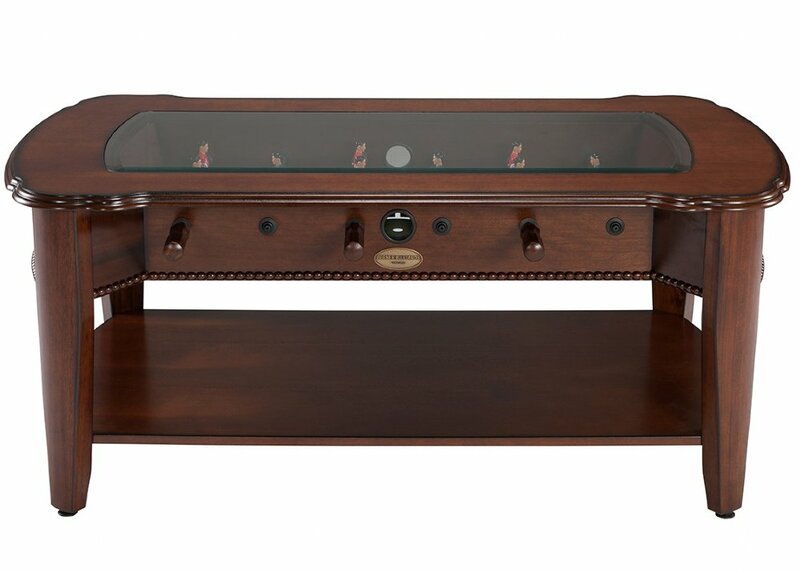 The price below includes curbside shipping via motor freight to most locations within the 48 contiguous states. 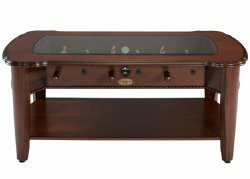 Please read our shipping policy for full details.